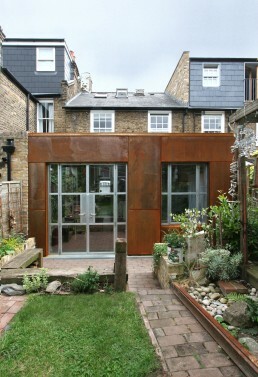 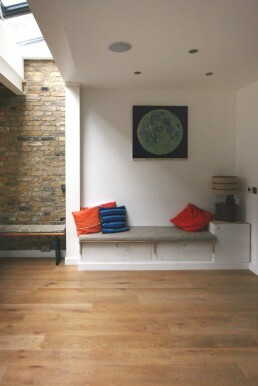 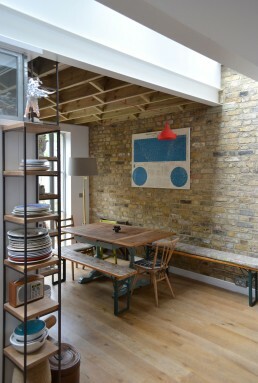 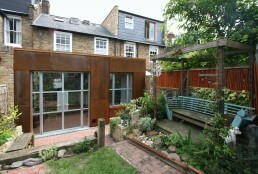 Rear extension to a 1920’s terraced house providing a new kitchen, bathroom, dining and utility rooms. 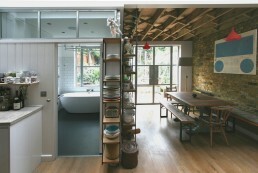 Internal windows allow spaces to borrow natural light from each other whilst visually breaking down the solidity of the walls. 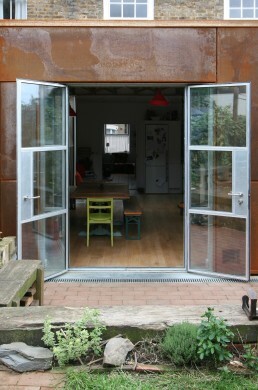 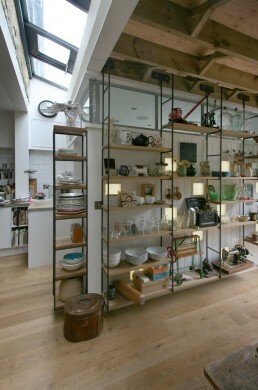 The interior fittings and Cor-ten weathering steel cladding are both a nod to Nunhead’s light industrial heritage and reflect Ken & Liz’s passion for the tactility of materials and detail.